The following post will be the first in a series that breakdown the zone pressures utilized by the Oklahoma Sooner defense. 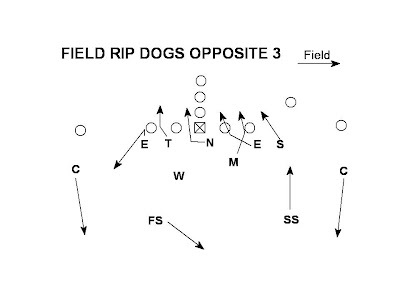 This information is from the 2002 Sooner defensive playbook which can be found here. One element of the Stoops zone blitz package that differs from many others is that his pressures are either 4 under 3 deep overload blitzes which are very effective pass pressures or 3 under 3 deep traditional zone pressures which are favored against the run. 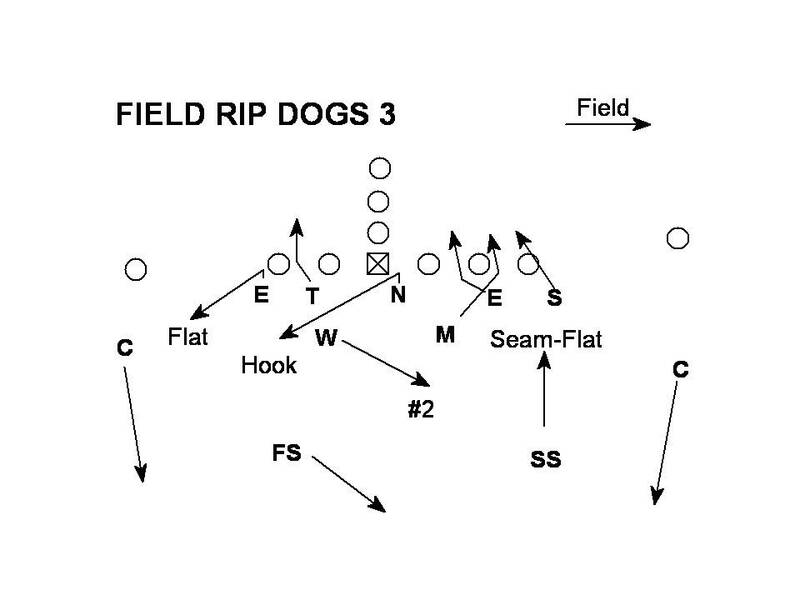 The first set of these blitzes is Field Rip Dogs 3 which is a 4 under 3 deep pressure and Field Rip Dogs Opposite 3 which is 3 under 3 deep. 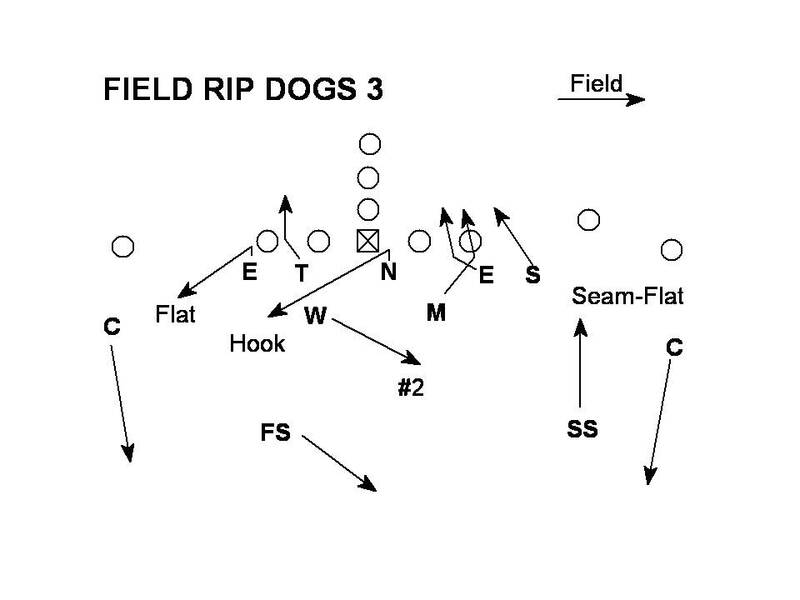 The front is set Field with the Nose in a shade to the field and the DT in a 3 into the boundary. 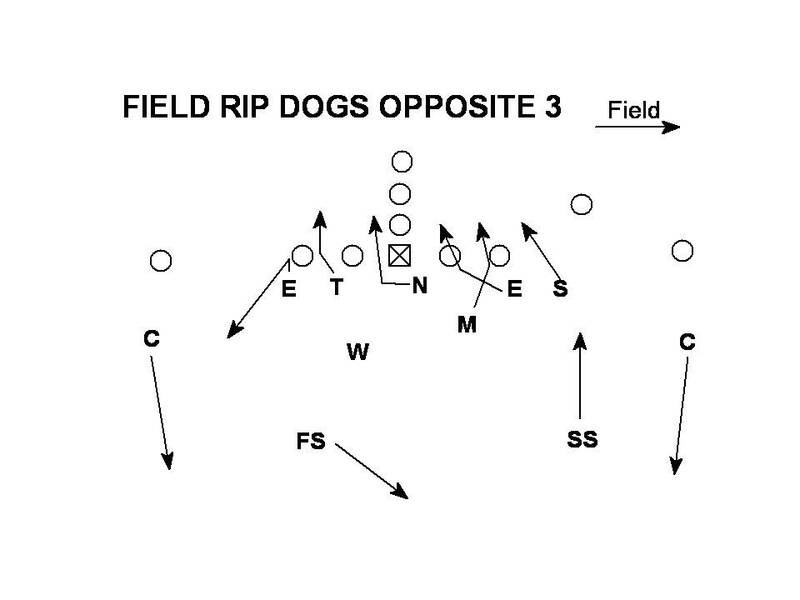 This pressure overloads the field side and drops 4 underneath into coverage allowing for both pressure and coverage. 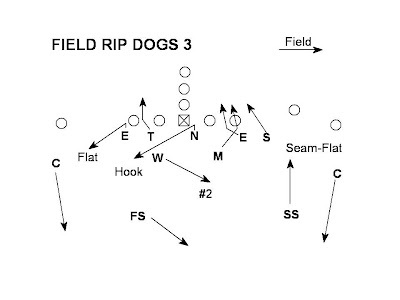 The only coverage check occurs when there is a split #2 receiver in the boundary. 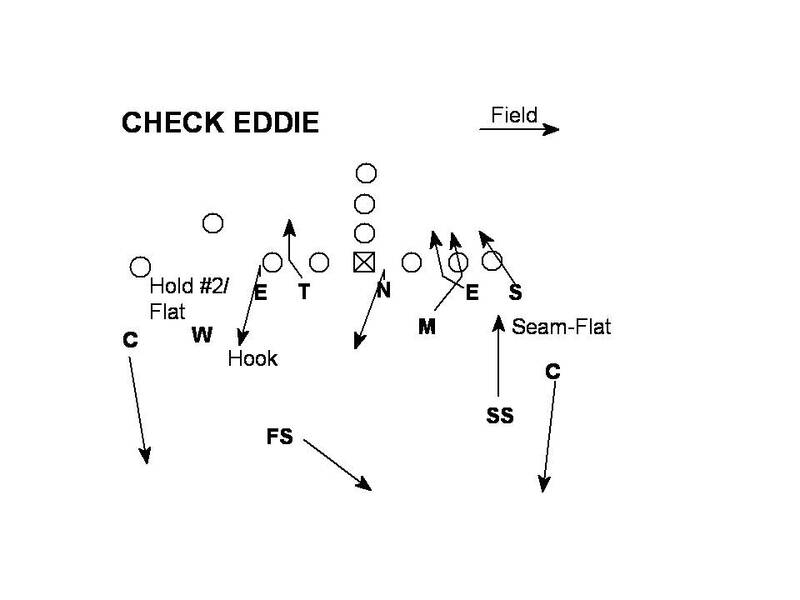 The Eddie check puts the Will LB dropping off the split #2 receiver and the End in the Hook drop. The Sooners compliment Rip Dogs with Rip Dogs Opposite. The Opposite tag tells the Nose to go to the Opposite A gap instead of dropping. 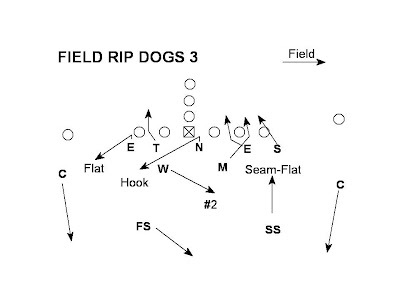 The Opposite tag turns Rip Dogs into the traditional NCAA blitz. 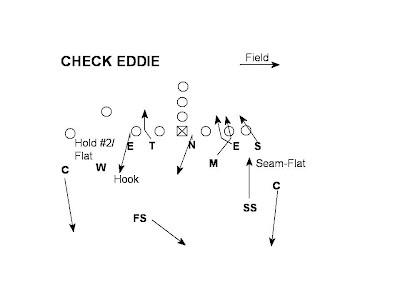 The only coverage adjustment is again the Eddie call vs. a removed #2 receiver into the boundary which exchanges the responsibilities of the dropping End and the Will linebacker. I find it to be very interesting how the 4 Under 3 Deep benefits the overload. A slightly delayed drop by the NT occupies the center. Very informing!